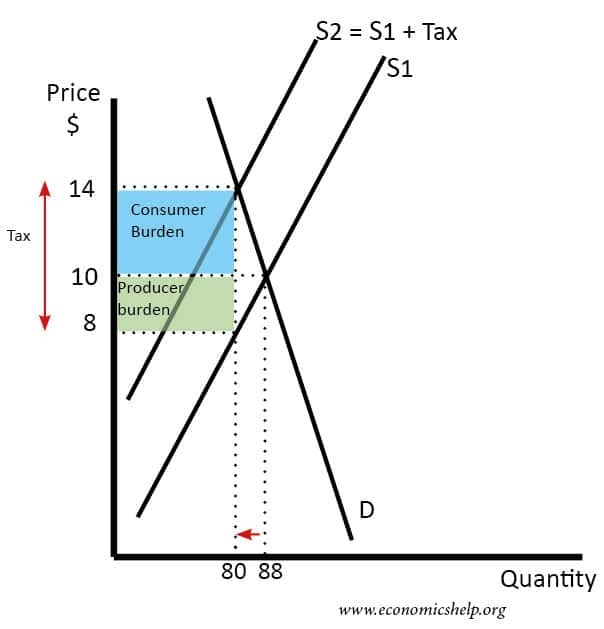 Placing a tax on a good, shifts the supply curve to the left. It leads to a fall in demand and higher price. 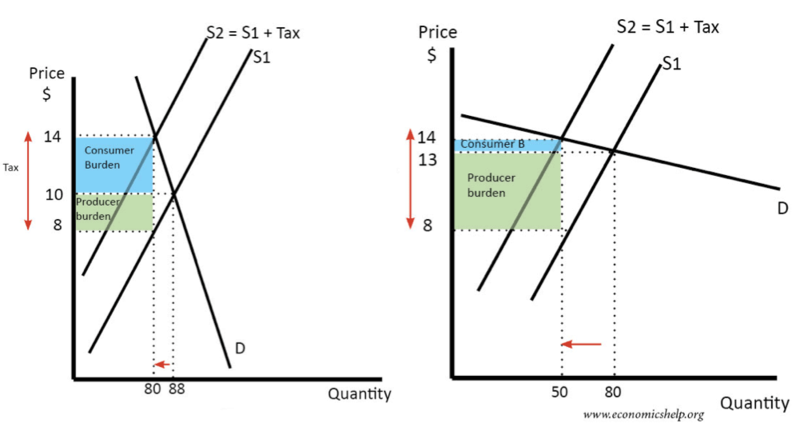 However, the impact of a tax depends on the elasticity of demand. If demand is inelastic, a higher tax will cause only a small fall in demand. Most of the tax will be passed onto consumers. When demand is inelastic, governments will see a significant increase in their tax revenue. The consumer burden of a tax rise, measure the extra amount consumers actually pay. In the above example, the specific tax is $6. If demand is elastic, then an increase in price will lead to a bigger percentage fall in demand. Is elasticity of supply have any role to play in this? Like, say, elastic supply will result in larger reduction in quantity and bigger Deadweight loss? The best thing to do is draw a diagram. Then change the elasticity of supply. 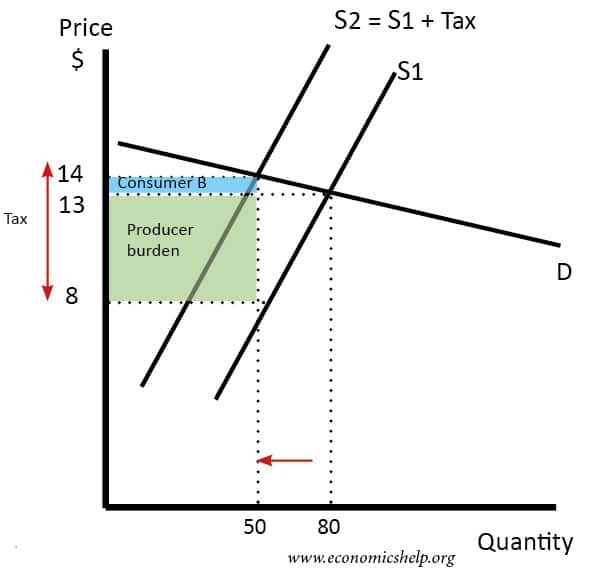 When I drew a diagram and made the supply curve more inelastic, the price increase was lower for same amount of tax rise. This helped alot, thank you!